Classification of economies by geographic region is based on that of the United Nations Statistics Division. Based on the income levels set out by the World Economic Forum (WEF) in its Global Competitiveness Report. However, the groupings are slightly different due to the numbers of economies covered. For GEM, the low income group contains both those classified as low income and lower middle by WEF, and the middle income group has those that WEF groups as upper middle. High income is the same for both GEM and WEF. Entrepreneurial activity in Norway has been declining from the relatively high levels seen in previous years to more moderate levels (from 9.1% of adults starting firms in 2005 to 5.7% in 2015), similar to those seen in other innovation-driven economies. 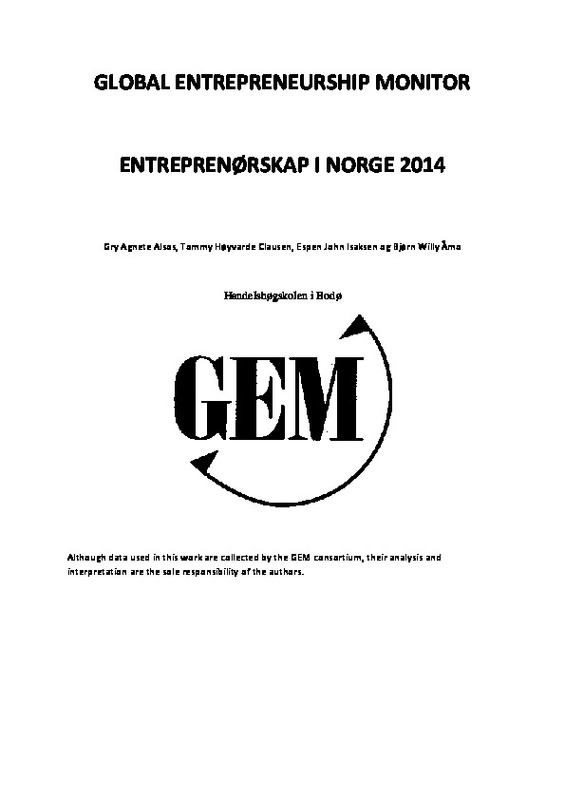 Despite an increase in early-stage entrepreneurial activity (TEA) among young adults (25-34 years old), fairly high levels of identified opportunities for entrepreneurship and a highly educated population, many Norwegians describe themselves as lacking the skills and competences relevant for starting a business. Norway’s small domestic market is a constraint, but its relatively wealthy population supports innovative products and services. The distribution of SMEs across sectors in Norway differs from that in the EU, as 38% of the value-add accounted for by SMEs is generated in the mining sector, compared to 1% in the EU. This reflects the fact that Norway is a major oil and gas producer. In recent years the low price of oil has led to increased unemployment and this, combined with the high immigration rate of refugees, has reduced the amount of capital available for government spending. To address this the government has recently launched a plan to boost entrepreneurship in Norway, which focuses on three areas: improved access to capital in the early stage, better access to entrepreneurial competences and making Norway a more attractive country to encourage entrepreneurs. SkatteFUNN is a tax credit scheme for businesses doing research and development (R&D) run by the Norwegian government’s trade department and launched in 2002. In order to decrease the uncertainty for firms, Innovation Norway makes a pre-assessment of whether a project qualifies for support from the scheme. Between 2002 and 2013 SkatteFUNN approved 13,1 billion krone on 24 619 projects (76% of all applications) from 10 250 companies. Nearly half of the new SkatteFUNN projects in 2014 were carried out in businesses with fewer than 10 employees. In all, 2,928 new applications were submitted in 2014 (a 16% increase over 2013), with tax deductions totalling 1.3 billion krone from the 7.6 billion kronor in R&D projects approved. A big attraction for small businesses is that firms can receive a cash-refund should the tax benefit exceeds the amount of tax liability, with about 75% of the value of incentives being paid out in this way to firms. Originally, only firms with fewer than 100 employees were eligible for the tax credit. They are allowed to deduct 20% of expenses related to an approved R&D project from taxes owed. However, the following year the government increased the threshold to include firms with up to 250 employees, which can deduct 18% of expenses related to an approved R&D project from taxes owed. Based upon data collected between 2002 and 2005,a 2007 evaluation found that the scheme seems to induce about two krone additional R&D per krone spent as tax subsidy. The evaluation also revealed that firms that previously did not invest in R&D were more likely to start investing in R&D after the incentive was introduced. It also found the effect of the incentive to be strongest in small, low tech and relatively low-skilled firms – firms that traditionally did little R&D. However, a finding of a 2012 evaluation is that the scheme contributes more to the development of new production processes rather than to new products or patents. A 2007 study showed that the use of an R&D scheme itself seems to create more monetary benefits than grants. It found that each krone on tax credits spent induced private R&D to increase by 2.68 krone. This was higher than the additionality effect for subsidies awarded by Research Council and Innovation Norway (at a ratio of 2.07 and 1.53, respectively) and grants by ministries and other public agencies (0.64). In addition, the study found that projects financed through direct subsidies have essentially zero private returns, while projects that were financed by R&D tax credits had slightly lower returns than projects financed by own funds – 16 percent and 19 percent, respectively. However, the country has yet to reach the target of 3% of GDP spend on R&D which motivated the formation of the scheme in the first place, reaching only 1.71% in 2014, slightly up on the 1.56% it was at in 2001. It suggests that perhaps alone the scheme can’t entice more firms to carry out R&D, but that other policies are required to complement such an incentive. 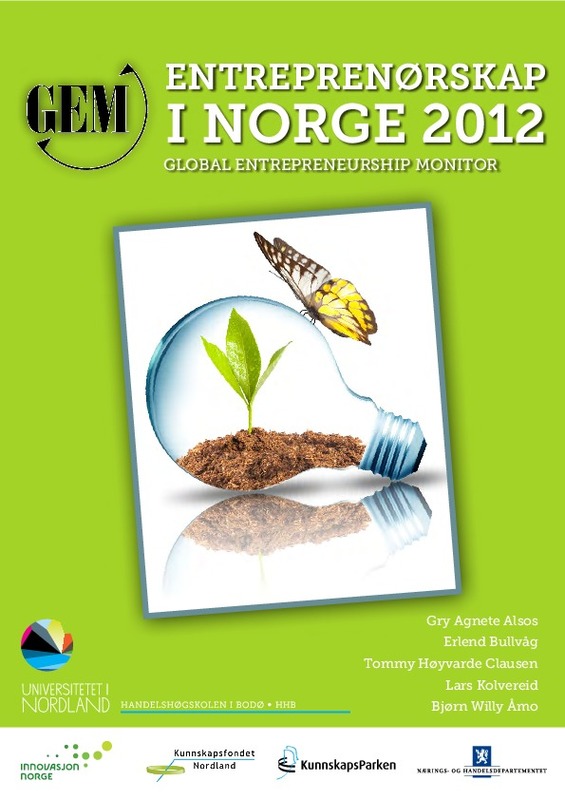 There is less entrepreneurial activity in 2012 than in any previous years Norway has participated in GEM. The TEA rate has continued to decline; there are fewer nascent entrepreneurs and new business owners and owners of established businesses. It seems to have become more difficult or less attractive to start a firm. There are fewer who expect to start a firm within the next three years. The fear of failing is still high. Entrepreneurial activity among women is at the lowest level in 2012, and hence the share of women among entrepreneurs has continued to decrease. There are fewer informal investors and fewer established business owners. This may be a consequence of a tight labour market, making waged employment more attractive, combined with increased uncertainty in outcomes from business start-ups. On the bright side there is an increase in TEA among the young adults (25-34 years) indicating a strengthening of the entrepreneurial culture. Further, the previous observed increase in experienced faire of failure and decrease in entrepreneurial competence seem now to stop and turn towards a better development. Further, there is still a high proportion of the population seeing good business opportunities locally. 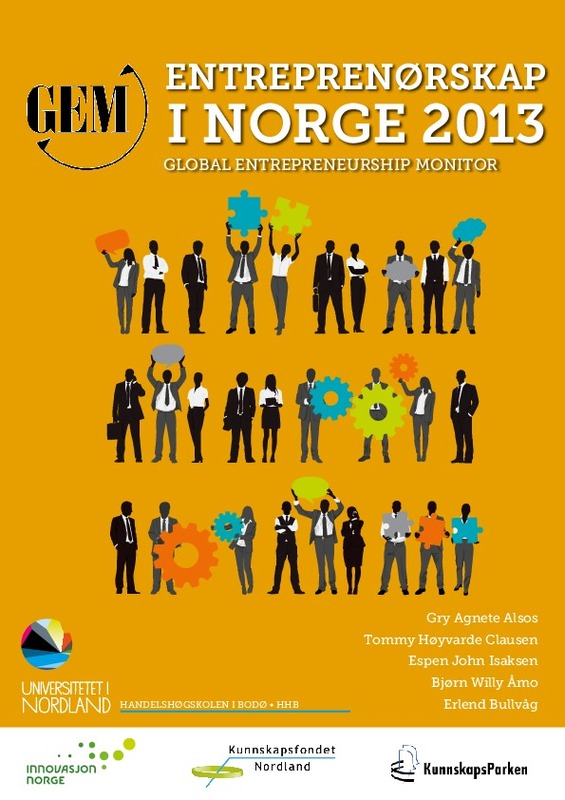 Norway is still the most Entrepreneurial Country in Europe behind Iceland. The finance crisis, and increased complexity and competition explains the decline to a TEA of 7,7 % i 2010. Further reduction is expected in 2011, driven by weak economic cycles. Norway is a country where opportunity driven entrepreneurship dominates. Many Norwegians sees good business ideas, but fewer actually act on their ideas.